Given the possible rain with Hurricane Florence, we wanted to offer a quick reminder about our inclement weather plan. 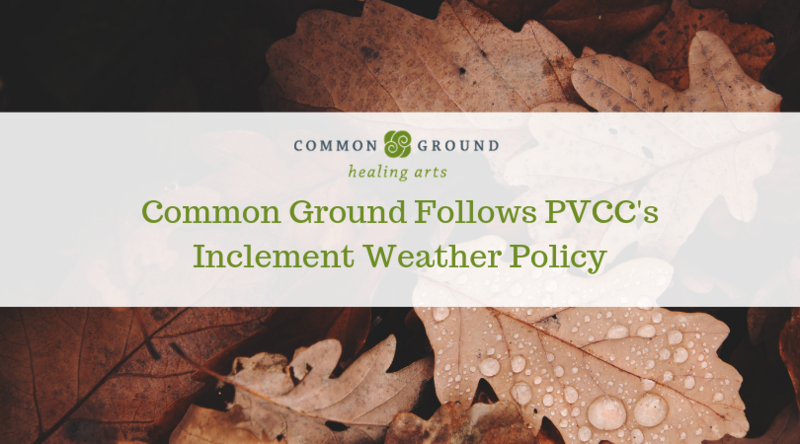 Common Ground follows PVCC’s inclement weather policy. If you’re ever wondering if we’re open or on a delay, please visit pvcc.edu and check their homepage for announcements. If PVCC is closed, Common Ground closed. If they are on a delay or closing early, Common Ground will be on the same delay or close at the same time as PVCC. If you have any questions, please give us a call at 434-218-7677. Thank you!